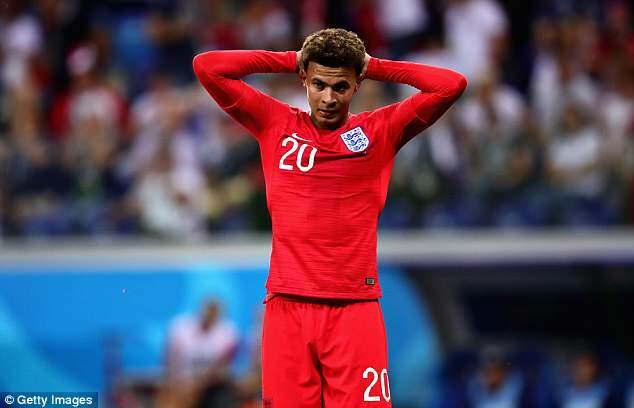 World Cup 2018: Dele Alli misses England training with thigh injury – Royal Times of Nigeria. Midfielder Dele Alli missed England training today as his thigh injury continues to be monitored before Sunday’s match against Panama. The Tottenham player suffered the problem during the 2-1 victory over Group G rivals Tunisia, although he managed to play for 80 minutes. The 22-year-old tweeted on Wednesday that it was “a slight injury”. Meanwhile, manager Gareth Southgate has discarded his sling as he recovers from a dislocated shoulder. The 47-year-old fell during a run near England’s World Cup camp in Repino and was treated in a nearby hospital.